Sepsis Alliance, the nation’s leading sepsis organization, released When A Loved One Has Sepsis: A Caregiver’s Guide, a free downloadable resource to help friends and family support and care for loved ones with sepsis and sepsis survivors. Sepsis, the body’s life-threatening reaction to an infection, affects 1.7 million people a year in the United States. Though sepsis takes a life every 2 minutes in the United States, every year, 1.4 million people survive. 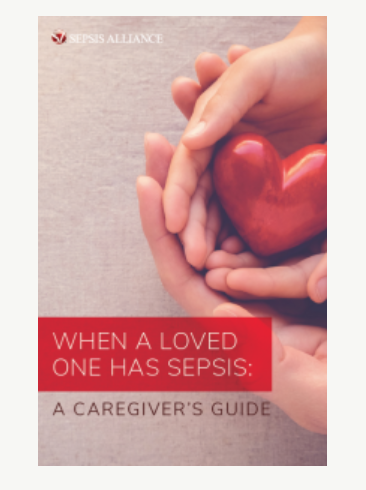 When A Loved One Has Sepsis: A Caregiver’s Guide also includes information to help family and friends understand what their loved one is going through after surviving sepsis and some possible long term effects.